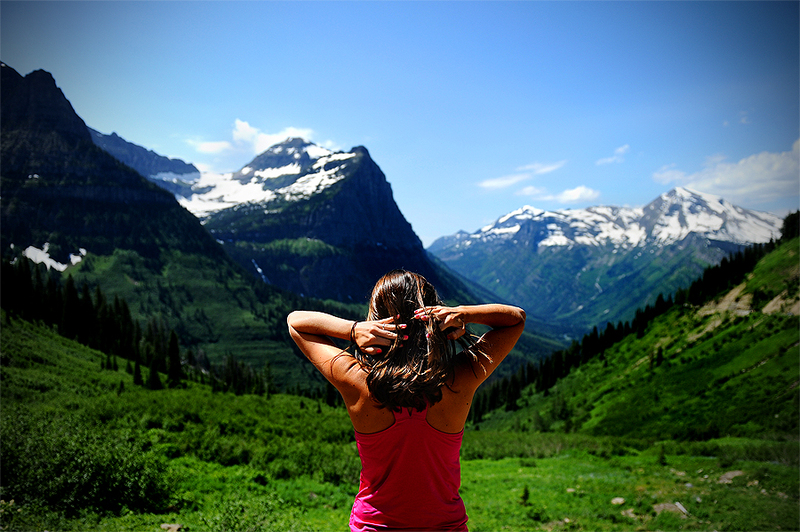 "A park visitor fixes her hair as wind blows along Going-to-the-Sun Road at Glacier National Park in West Glacier, Mont., Sunday, July 31, 2011." Visiting national parks is always memorizing. It's also sensory overload for the pupils. While most of my pictures tend to be "Ansel Adams" I do try and seek warm bodies to compliment the amazing landscapes. I am not sure what drives me to always get a human in my photographs, it's probably my journalistic instinct, but I think when I am in wilderness I want to show that I wasn't the only person there. This image was near the bottom. The top comes tomorrow.